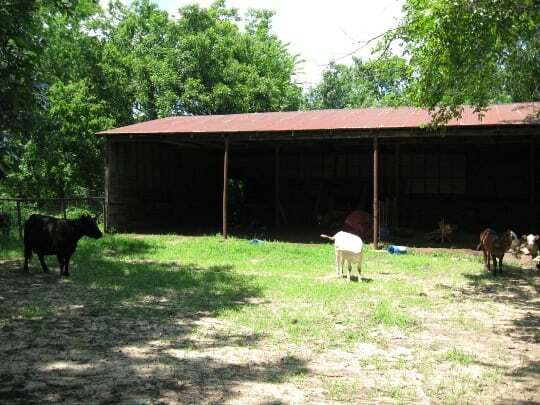 DESCRIPTION: This attractive and scenic Oklahoma ranch for sale is located in an area of larger tracts, with less development pressure, while still being easily reached from the Tulsa Metroplex. 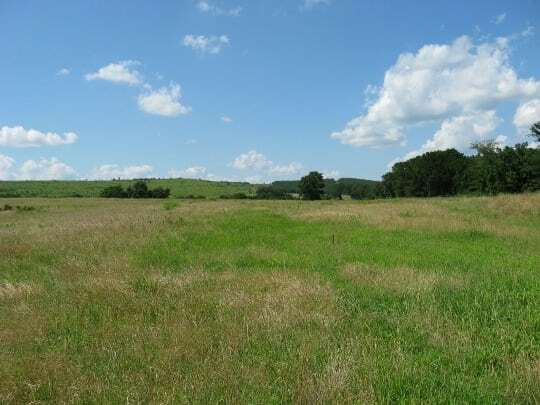 A mosaic mix of bottomland and upland timber, native Tallgrass Prairie and introduced pasture offers agriculture and wildlife value that should appeal to those who desire a quick country get a way or accessible retirement acreage. The south end moves from rolling terrain to outstanding upland visas on the north created by elevation changes from 785 feet to 1050 feet. There is no active oil or gas production currently on the ranch. The deed grants any minerals that might be available and the owner has not explored to discover if, in fact, there is any mineral interest. 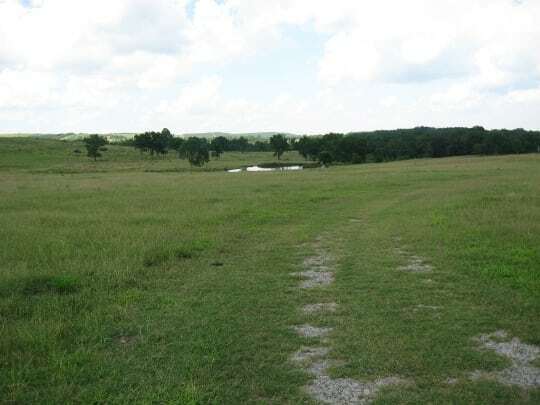 This combination Oklahoma hunting ranch and cattle ranch is described as the E/2 of Section 25 and the E/2 of Section 36, both sections located in Township 15 North, Range 9 East, Creek County, Oklahoma, 640 acres +/-. ● Bristow 11 miles northwest. ● Slick 5 miles northeast. The ranch is accessed quickly from Tulsa via the Turner Turnpike to the Kellyville exit. Utilize the Slick Road west of Kellyville to Highway 16 and Slick. South of Slick turn west across Deep Fork Creek and then south on S. 249th W. Ave. two miles; west ½ mile and then south past the Fisher Feed Mill one mile to W. 301st Street S. The ranch entrance is located 1 and ½ mile west on the north side of the road. The ranch can also be accessed from Highway 48, south of Bristow, by turning east on W. 281st Street S. for one mile; South on S. 337th W. Ave two miles to W. 301st Street S. then east 3.5 miles to the ranch entrance. 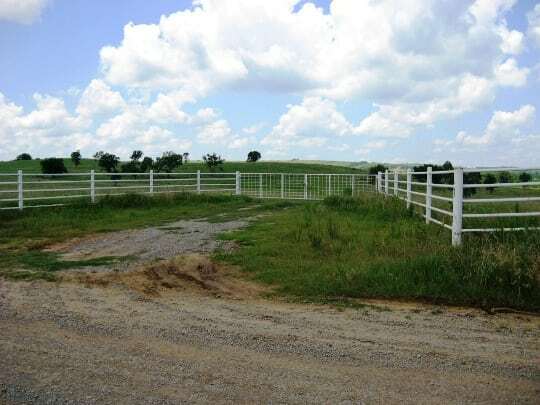 The ranch is completely fence on the outside with 5 miles of well constructed 5 wire fence supported with welded pipe brace and corner posts. 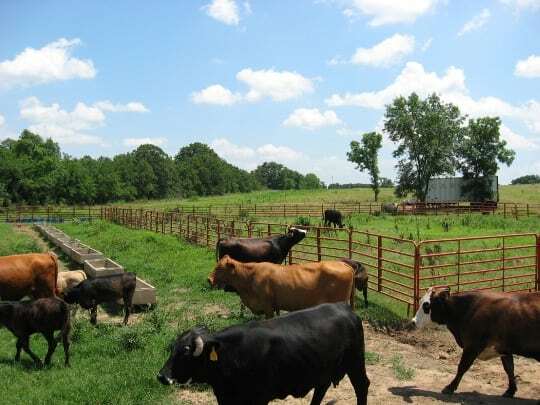 Additional partition fencing creates 5 pastures and traps. The attractive entrance leads to the headquarters area that has an open faced barn and hay storage as well as some covered working area. Portable panels create a very usable livestock handling area. The owner installed a septic tank, for his travel trailer, and drilled a well a short distance from the headquarters. The current ranch road system allows the ability to access most areas of the ranch. The well supplies the headquarters area with automatic water tanks, frost proof hydrants and also serves the trailer. It would be more than adequate for a home. 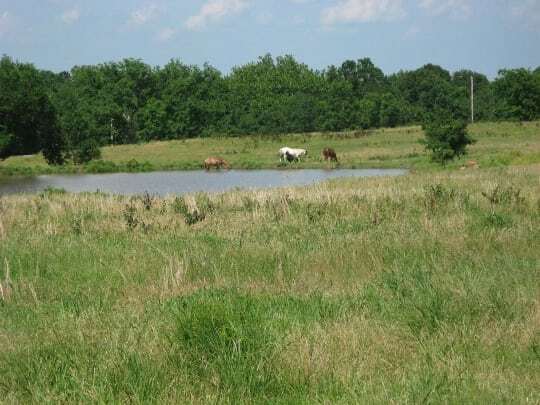 5 ponds, some of them spring fed, and the spring fed creek supply surface water to the pastures. This area is well known for the spring activity. Approximately 300 acres have been sprigged to Bermuda and these same soils are capable of supporting improved crabgrass, several clover varieties, fescue, annual ryegrass or other introduced forages. 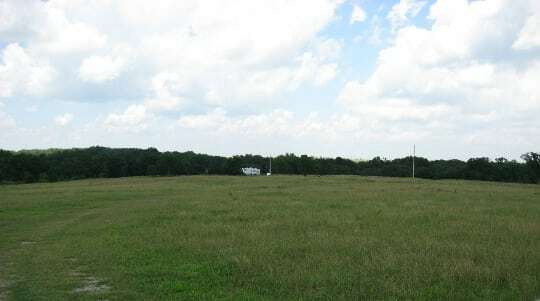 The owner is currently stocking the ranch with 100 animal units and haying approximately 80 acres of Bermuda pasture. 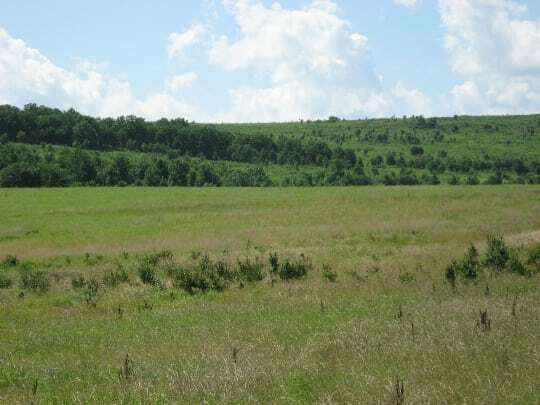 The soils indicate that with even conservative grass management of the introduced and native pasture, that the stocking rate is very realistic. 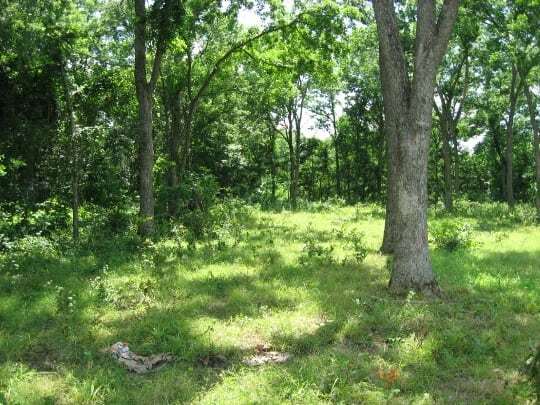 The mosaic mix of forage and timber creates a habitat that supports game and non-game species and is in an area that is considered excellent deer and turkey hunting. 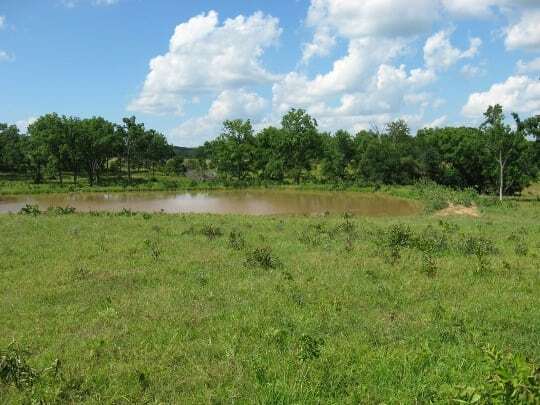 This Oklahoma hunting ranch adjoins several larger undeveloped acreages that create additional value. As previously mentioned, the appeal should be there for full time or part time agriculturalist. While the recreation value is strong, it does not diminish the agricultural value of the acreage. Besides a cow/calf operation, it could easily be utilized for a stocker operation or even the headquarters for a larger operation. The property is located in an area that has qualified for accelerated federal income tax depreciation on qualifying depreciable ranch improvements. 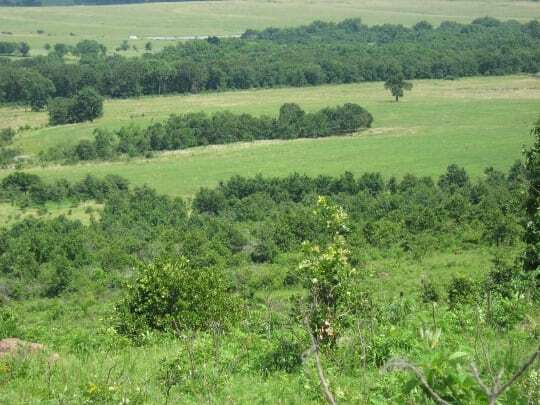 This is due to the Taxpayer Relief Act of 1997 that targets former Indian Lands inOklahoma. This act is awaiting extension in the pending federal budget and provides a shorter recovery period of approximately 40% for most non-residential depreciable property. If depreciable asset are helpful, the fencing in itself would provide a significant depreciation. Advalorem taxes in Oklahoma are generally favorable when compared to other areas of the country. The current taxes are approximately $1,100 per year.